A Tortoise week were carried out in Tortoise centre from 23rd to 30th of May with partners from the tortoise organization Schildkroten-Interessengemeinschaft Schweiz. 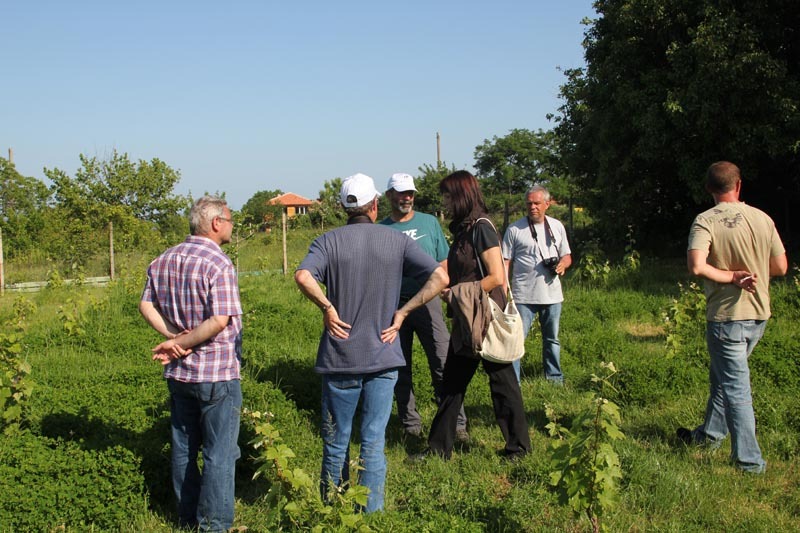 The meeting is a part of the project "Bulgarian - Swiss partnership for development of the Gea Chelonia Foundation Tortoise centre" supported by a grant from Switzerland through the Partnership and Expert Fund. The project's aim is enhancing the effectiveness and the role of the Tortoise Centre as a rescue, scientific and tourist centre through sustainable partnership with Swiss organization, working in the field of tortoise conservation, and through learning from its experience in breeding, housing, and rehabilitation and application of work standards of the European rescue centres. During the "Tortoise week" the Swiss experts observed the centre's work, carried out consultation and training of its staff and visited interesting places along the Black sea coast for watching amphibians and reptiles in their natural habitats. This was the beginning of our joint herpetotours-making - a brand new alternative tourism in Bulgaria, but quite familiar in most of the West-European counties. One of our goals is to attract the Swiss tourists by offering herpetological tours. The meeting was attened for two days by Her Excellency Regina Escher, The Ambassador of the Switzerland, accompanied by Gerasim Gerasimov, national program director of the Swiss Cooperation Office, Tomas Galati who is responsible for contacts with Swiss tourists. 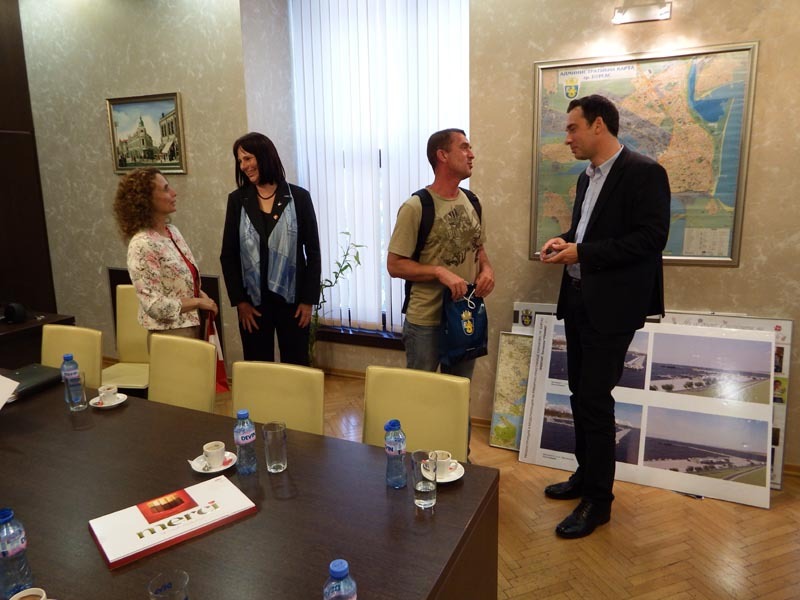 The delegation and both partner organizations meet the Mayor of Burgas Municipality Dimitar Nikolov. They discuss the Swiss - Bulgarian economic relations and good posibilities for alternative tourism in the region. They visited the Saint Anastacia island, where they found a small tortoise. During the second day of the Ambassador's visit in the Tortoise centre, Ivo Ivanchev - the GCF's manager organized short herpetological tour in the vicinity of Banya village where he released back to the nature tortoises previously threated and rehabilitated in the centre. During the trip the guests found and photographed different species of amphibians and reptiles. Both partners form GCF and SIGS made other 2 trips along the North and South Black Sea coast for animals hiking and preparing the tourist routs. At the end of the meeting they discuss new visits in Bulgaria.